Have questions regarding our inventory? 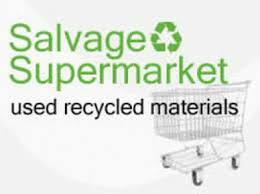 Welcome to salvagesupermarket.com, we are the leading supplier of reusable building materials in Winnipeg MB. ​Our yard is open to browse during our business hours and we are here to help you find everything you'll need for those projects this season. ​Come take a look through our salvage yard to find anything from I-Beams and trusses to doors, lights, windows and more. if you have any questions just call the number above.